Téléprometheus is an e-learning platform dedicated to healthcare professionals. It is up and running in two hospitals - at the Nicosia General Hospital in Cyprus and at a hospital in Heraklion in Crete. 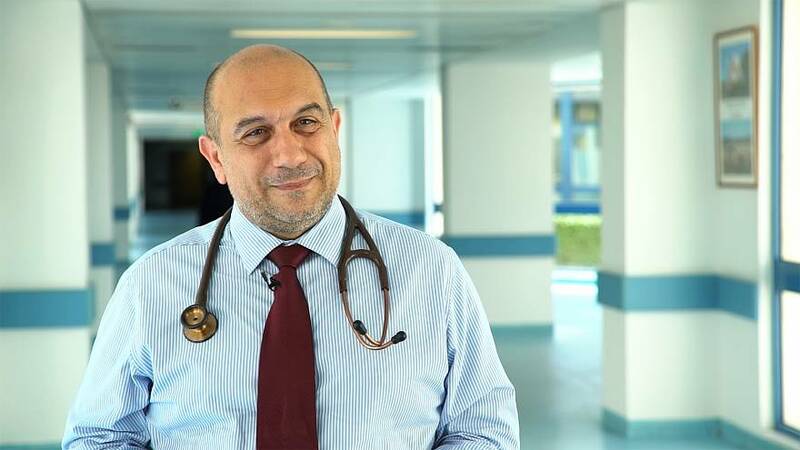 Dr Theodoros Kyprianou, who heads up the hospital in Nicosia, told Euronews what he hopes the project will achieve. "Prometheus was the god of knowledge and the one who provided humanity with the light," explains Kyprianou, "the flame, and we do believe that data and knowledge today it is the flame, and the unique characteristic of our common area: Europe." "The idea here is to use this platform, flexible platform which is stold, sold maybe? in different formats: outside the ICU, inside the ICU and accessible through mobile devices from home. "Another example is a patient who has full time mechanical ventilation at home and let’s say a relative or an attendant of this patient wants to know some something about tracheostomy care. "Of course they have been through an educational programme but we are humans, we forget things so maybe he or she wants to consult the platform to have an answer on about: how do you care for a tracheostomy tube? "How frequently you should change it? what kind of materials do you use to make this chage? so all these practical things. "So this is a pilot that we believe serves its purpose both inside and outside Cyprus," Kyprianou concludes.